Millions of morning people turn to a hot cup of coffee every day to defog their minds and prepare for the day. It’s a time-honored morning, afternoon and evening tradition that led to the establishment of Starbucks on every major block in big cities around the world. If you find yourself drinking more and more and settling for nothing but the most exotic imports, you’ll need to equip your kitchen with an arsenal that can handle your coffee needs. 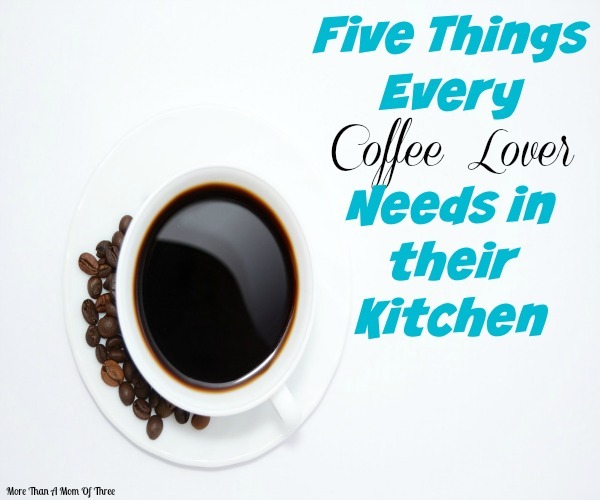 Take a look at five essentials that every coffee lover needs in their kitchen. Electronic coffee grinders are great, but what’s more delicious than electrically ground beans? Hand ground beans. It’s just like making a pie from scratch. It is an old technique that makes the flavors and aromas all the better, if only because of the hard work you put into grinding. For regular coffee drinkers, the French press produces only the most flavorful of morning wake-ups. Though the contraption seems confusing at first, it is actually extremely easy to use. In addition, it’s on par with manually grinding coffee. You keep the beans submerged for as long as you deem necessary, and then pull them out. No more relying on automated timers. At some point, regular coffee just doesn’t do it anymore. Enter the ever-popular espresso. With this machine, you can make drinks that contain over five times more caffeine than is found in a normal cup of coffee—in only half the amount. Such a machine also expands the types of drinks you can make, including cappuccinos and Americanos. Many coffee lovers enjoy convenience more than anything. This simple reason is why K-cups took the market by storm and continue to hold high sales. Already filled with the perfect amount of coffee and available in a wide assortment, K-cups fit directly into the Keurig where hot water is poured over the grounds, soaks up the flavor and then streams into your mug. You can find K-cups online from places like 11th Street Coffee to keep your kitchen fully stocked. Hot drinks aren’t for everyone, especially for coffee lovers living in the South like me. Instead of a boiling beverage, look to cold brewing to decrease the temperature and the acid content. Though it may take a little longer, the coffee is nonetheless delicious, and it’s odd method of preparation will make it all the more enjoyable. If you love your coffee like me, you’ll need to keep your kitchen fully equipped to satisfy your cravings when you can’t (or don’t want to) leave the house. Not only will you find it extremely convenient to have all of your favorite coffee products at home, but making a bigger investment upfront can save loads of money that you would be spending on daily coffee. So, take the plunge and turn your kitchen into a coffee-shop haven that can satisfy your crazy coffee cravings at any time of day. You know, I have never tried a french press and I really think I need to! I have the rest of these suggestions as I can’t live without my coffee! They are amazing and make a fantastic cup of coffee! I had one a few years ago and loved it. You had be at coffee lover! I so wish I had a Keurig too, so I could just brew a cup every now and then. Will need to show hubby this! I need to get a cold brew coffee maker. My oldest son is in college and that is his preferred drink of choice. Mine too! Living in Florida its hard to drink hot coffee. We love our Keurig and we are so happy we bought one. We never drink a pot of coffee so this is perfect. Thanks for sharing this interesting topic in this platform. I am a huge coffee lover. I cannot start my day without a coffee. I am surely going to get Cold Brew Coffee Maker soon. Keep sharing more…..
Keurig is one of the best machines that I have owned. It is perfect for every kind of coffee that I want. Thanks for sharing interesting story. This is great list and I think Caffeine addicts shouldn’t hesitate to start their own coffee brewing operations at home because there’s a glut of equipment out there to help us store, grind, roast and brew the perfect cup of joy. I’m definitely in need of a cold brew maker! Thanks for sharing! I’m definitely going to take a lot at the “T2N” cold brew maker you recommend.